The Grade Bottle Cap’s intention is to provide the split-second efficiency of refilling a water bottle through functionality and design. 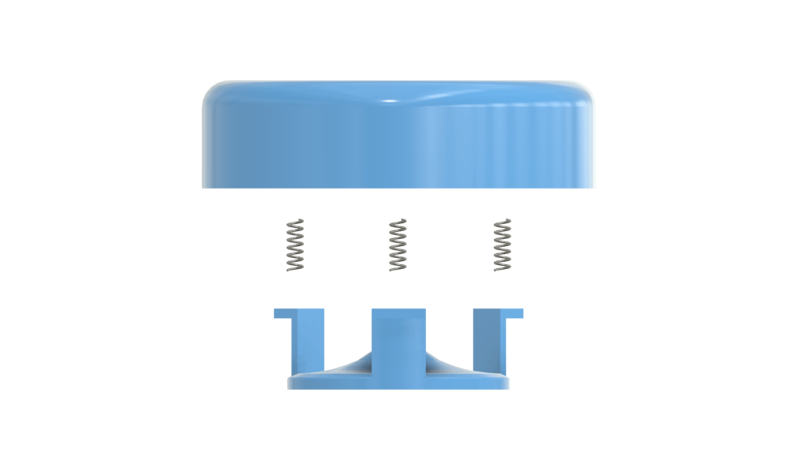 This unique cap system utilizes a group of springs which enables part of the lid to close by itself. The purpose of this tool is to allow users to refill their water bottle using a water dispenser without having to open the bottle cap by simply pushing the lid on to the dispenser faucet unlike its typical predecessors. 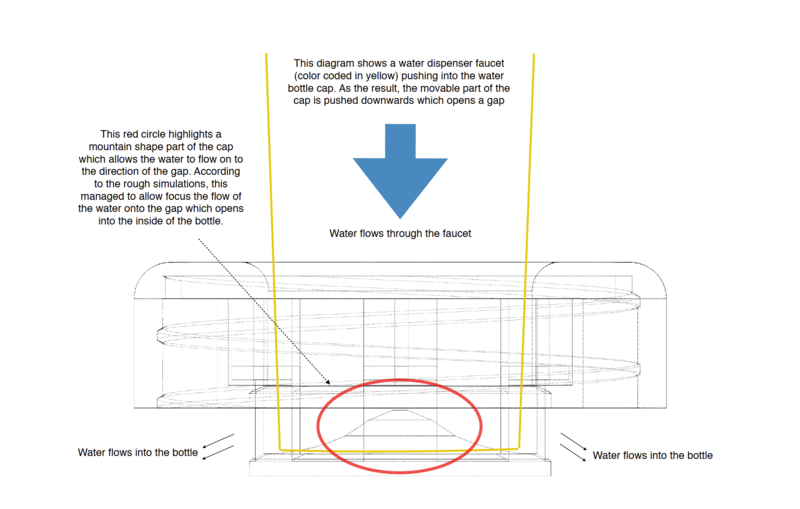 This would then open a gap between the cap and the empty water bottle to allow the water to flow inside.